Check out these two stories about the Chibaish Green Festival written by longtime Nature Iraq adviser and expert ornithologist Richard Porter. More questions than answers remain after a Turkish high court ordered an immediate halt to the construction of Ilısu Dam in southeastern Turkey. Ruling in favor of the Chamber of Architects and Engineers (TMMOB), the 14th Chamber of the Council of State two weeks ago suspended work on the controversial dam because the government had not conducted the legally required Environmental Impact Assessment (ÇED). Al Jazeera’s Jane Arraf reports from Iraq’s southern marshes. See the report here. Thinking about Iraq and Kurdistan, many people will think about oil, desert, Saddam Hoessein and more. But there are so many other fields to pay attention to. One of them is environment. To create awareness about this, about nature, IMCK organises a few one day trainings in close cooperation with Nature Iraq. Today twelve journalists joined our training in Erbil. Nature Iraq (BirdLife Partner), the leading wildlife conservation NGO in Iraq, is very pleased to make a donation of $1000 to Norfolk Wildlife Trust’s appeal to purchase 58 ha of land next to Cley Marshes, Norfolk, England. 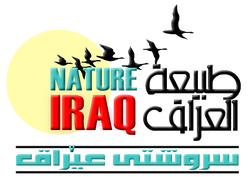 Nature Iraq has received much help from colleagues in the UK, especially through BirdLife International, and makes this donation as an act of global support for the protection of marshes. A group of environmentalists and artists from northern Iraq spent the weekend in the ancient town of Hasankeyf in Batman, where they shared with locals the consequences of the planned Ilısu Dam on Iraq and Turkey through performance art.